Have the allegations against Judge Kavanaugh prompted you to share your story? 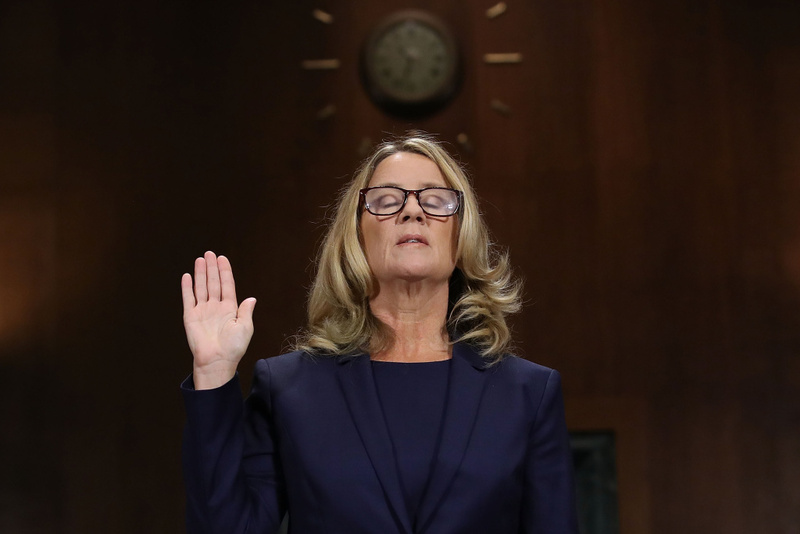 WASHINGTON, DC - SEPTEMBER 27: Christine Blasey Ford is sworn in before testifying the Senate Judiciary Committee on September 27, 2018. The testimony of Dr. Christine Blasey Ford to the Senate Judiciary Committee and the other allegations of sexual misconduct against Judge Brett Kavanaugh have intensified the national conversation about sexual harassment and assault. The allegations have also spurred some people to come forward – often for the first time – to tell their own stories of being victims of sexual misconduct. Has the fight over the Kavanaugh confirmation led you to tell a story you’ve previously not disclosed? We want to hear from you. Nothing you say here will be disclosed publicly without your consent.